Here’s a link to the book from University of Chicago Press, and here is a draft of the introductory materials. The duel of honor – can you think of a more romantic topic for a St. Valentine’s Day lecture? The duel would seem to be a barbaric practice from an anachronistic age. Yet, Professor Allen provides a cogent theory of dueling, arguing that it provided a screen for otherwise unobservable investments in “social capital” – social investments that allowed aristocrats to demonstrate their allegiance to the crown. He argues that his “social capital” hypothesis is consistent with many of dueling’s peculiar institutional features, the rise and fall of the practice, and the salient differences between the European and American dueling practices. One suspects that he will also address Joseph Schumpeter’s duel with a recalcitrant campus librarian. The talk is adopted from his recent book, The Institutional Revolution: Measurement and the Economic Emergence of the Modern World. Professor Allen is on campus to discuss his classic work on North American agriculture, The Nature of the Farm (co-authored with Dean Lueck). This weekend marks another big weekend for the Lawrence Scholars programs, including a visit from alums Hugh McLean, Jamie Reeve, and Mark Spertel for the Lawrence Scholars in Business program. Our guests will talk about commercial banking and private wealth management. I’ll try to get their bios up later today. These events are excellent opportunities for you to get a glimpse at opportunities out in the real world, and to mix with professionals who actually want and have time to mix with you! Doug Allen from Simon Fraser University will be on campus on February 14 as part of the Senior Experience in economics. In addition to The Experience, Professor Allen will also deliver a public lecture on his recent book, The Institutional Revolution: Measurement and the Economic Emergence of the Modern World. The book is a collection of work that principally examines the ‘peculiar’ institutions surrounding the British aristocracy and other pre-modern European curiosities , including the sale of public offices and military commands to the practice of dueling to “settle” disputes. Professor Allen’s talk will focus on dueling! Here are a couple of the papers that serve as the foundation for The Institutional Revolution, available via the genius of Google Scholar. Douglas W. Allen and Clyde G. Reed (2006) “The Duel of Honor: Screening for Unobservable Social Capital,” American Law and Economics Review: 1–35. Douglas W Allen (2002) “The British Navy Rules: Monitoring and Incompatible Incentives in the Age of Fighting Sail,” Explorations in Economic History, 39(2):113-232. Douglas W. Allen (2009) “A Theory of the Pre-Modern British Aristocracy,” Explorations in Economic History, 46:299–313. Douglas W. Allen and Yoram Barzel (2011) “The Evolution of Criminal Law and Police During the Pre-Modern Era” Journal of Law, Economics, and Organization, 27(3):540–567. Want to learn more about (rare) peaceful transitions of power in communist countries? Come to Mark Frazier’s lecture. Want to understand how China sees its own future? Come to Mark Frazier’s lecture. Want to know the relationship between communism and capitalism in China? Come to Mark Frazier’s lecture. Regulating Wall Street: Did We Go Too Far? Lawrence alum Elijah Brewer will address the above question in the next Economics Colloquium. It will take place next Monday, October 8th, in Steitz Hall 102 at 4:30. We encourage all to attend. The causes of the financial crisis of 2007-09 are many and varied. Indeed, the crisis may be viewed as the product of a perfect storm. This address will discuss many of the popular causes of the U.S. crisis and enumerate their more important sins. It then presents the traditional way we like to think about commercial banks, and how that had changed leading up to the financial crisis. Indicators of stress in the financial system, and commercial banks in particular, are presented. What you will see is that many of these indicators were flashing red well before regulators got their hands around the problem. I will argue that it was not the lack of regulation, but a lack of will by regulators to enforce the rules that were already on the books. Thus, the government’s and Congress’s desire to regulate Wall Street is mis-placed. The banking industry does not need more regulation for the regulators to ignore when it’s convenient for them to do so, but we need a greater will by regulators to enforce the regulations that they do have. I will conclude by offering an assessment of the Dodd-Frank Act. Today is a summer visit day for prospective students, so hello to all of you good folks from Briggs 2nd. Last year the Lawrence Scholars in Law program was fortunate to feature alumnus Tony Valukas in one of the better alumni talks you are likely to see. This year, Mr. Valukas is back as our commencement speaker. So, those of you commencing are in for a treat. Much of the rest of this post is from the LSL blog post from last year. Mr. Valukas has been a partner with Jenner & Block from 1976 through the present, with the exception of his tenure as the United States Attorney for the Northern District of Illinois from 1985 through 1989. Prior to Jenner & Block, Mr. Valukas held several positions with the U.S. Department of Justice, including Assistant United States Attorney (1970-1974), Chief of the Special Prosecutions Division (1974), and First Assistant United States Attorney (1975-1976)… Mr. Valukas was appointed in 1991 as Special Counsel to the City of Chicago to investigate and report on the City’s health care system. 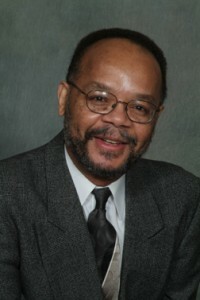 He was selected Special Inspector General to the Chicago Transit Authority to investigate vendor fraud, and counsel to the Chicago Housing Authority to investigate vendor and pension fraud. He has also served as chairman of the Governor’s Task Force on Crime and Corrections for the State of Illinois, a 2-year effort which led to the passage of major prison reform legislation in 1993. Mr. Valukas is also a former member of the Lawrence Board of Trustees. This was no small undertaking. At the New York offices, the Lehman team commandeered half of a floor previously used as storage space. The heat sporadically cut off as the work continued overnight. “A lot of the associates looked like longshoreman wearing caps and hooded sweatshirts,” said Patrick Trostle, a Jenner & Block partner who worked on the case. By the time the investigation was over, more than 200 attorneys had worked on the case, reviewing 34 million pages of documents. Investigators also conducted roughly 250 interviews, ranging from Warren Buffett to Ben Bernanke. If he can turn a 2200-page bankruptcy report sound like a best seller, I am certainly looking forward to hearing what he has to say. On Monday night students in the Economics of the Firm class (Econ 450) will be showing off their work on the economic organization of Lawrence University. You can check this out in Briggs 223 on Monday at 6 p.m. I am impressed with the quality of the students in this course, and I am confident that they will put on a good show. If you aren’t careful you might even learn something about LU. Indeed, this should be of interest just for the descriptive statistics. ‘Selling’ Yourself Short? The Promise and Pitfalls of Income-Contingent Loans: With graduation just a few days away for the Lawrence University class of 2012, the time has come to embrace a looming reality: college loans. Most of us have them and they need to paid back. According to FinAid.org, more than 65 percent of four-year undergraduate students in America take on debt in the form of government and/or private loans to finance their education. Loans are generally issued by institutions or individuals with available money in return for a premium in the form of a fixed interest rate. An alternative option exists, however, whereby students instead offer investors a share of their future earnings, similar to the capital-raising efforts employed by firms. The idea is by no means new; in fact, Milton Friedman advocated the use of income contingent loans in 1955. Our project explores the benefits and concerns associated with issuing equity to finance education and analyzes whether this alternative option is viable for Lawrence University. We will discuss the adoption of an income contingent loan program at Yale University in the 1970s to provide an experiential understanding of this practice. (David Caprile, Oscar Koberling, Rana Marks, Stuart Smith). Are Excess Endowments a Problem? Monitoring and Agency Problems among the Associated Colleges of the Midwest Economic discourse on the theory of the firm developed while trying to understand the for-profit firm; however, the last few decades have witnessed an increase in research on the not-for-profit firm. There is considerable variability among the two categories, for-profit and non-profit. One intriguing non-profit is the university. Unlike most non-profits and all for-profits, universities keep large cash surpluses. The reason for these large endowments has remained a puzzle (Hansmann 1990) One proposed explanation for large endowments is agency problems. We draw on data from a pool of small private liberal arts colleges to examine the relationship between “excess endowments” and high monitoring and agency costs. (Molly Ingram, Regina Hammond, James Maverick). Why Does Lawrence University Have So Many International Students? Lawrence University has the highest percentage of international students of any college in the Associated Colleges of the Midwest. Indeed, the percentage of Chinese students on campus is higher than the percentage of all international students at several ACM schools. The “awkward” economics of higher education suggests that “colleges can buy important inputs to their production only from the customers who buy their products; colleges buy important inputs to their production only from the customers.” Lawrence procures these inputs by providing generous financial aid, lower initial deposits, and through other avenues. In turn, international students help provide language instruction, promote campus diversity, and contribute significantly to campus cultural activities. Our regression results are consistent with our contention that LU has an unusually high percentage of international students. (Linlin Liang, Yue Jia, and Zhan Guo). Food catering services: Dine in or dine out? This project looks at data collected from 100 top liberal arts colleges ranked by U.S. News and World Report to determine factors that contribute to college’s food services make- or-buy decision. Consistent with the empirical work on make or buy decisions (e.g., Monteverde & Teece 1982; Joskow 1987, Anderson & Schmittlein 1984), we examine potential conventional microeconomic as well as transaction-cost theories for Lawrence’s recent outsourcing of food services. We provide logistic regression on outsourcing as a function of based on endowment size, campus acreage, size of the student body, location relative to urban areas. (Max Randolph, A.S. Darling, Andrew Kraemer, Brian Zindler). The Department Picnic is an annual ritual at Lawrence, but one where we in the Economics Department haven’t quite mastered. This is partly because many of the faculty are relatively new, and partly because we just aren’t that into rituals. That said, we will be communing as a Department this Wednesday, May 30, from 4:30 to 6:00 on and around the Hiett first floor patio (Location subject to change). If you plan to attend, please indicate your intention here. Your affirmation on the Doodle poll will allow us to procure appropriate levels of pizza and SuperChill® (the empirically validated cola choice of the Economics Department), and will also help us to ration in the event that supplies run short. Mathematical modeling is all about choosing the simplest equations that act like reality. Models of the evolution of interest rates over time are surprisingly deep because simpler models are full of inconsistencies (called “arbitrage opportunities”) that do not reflect market efficiency. Sophisticated traders would exploit these opportunities, systematically changing interest rates, instantly rendering the model invalid. At any given moment there are many interest rates: one for each investment term (which can range from days to years), and a consistent model must prevent arbitrage opportunities within the vast linear space of combinations (portfolios) of investments with different terms. Many aspects of mathematics and statistics are involved in the creation of consistent arbitrage-free models. My research involves a change in focus: Building a linear system for market prices instead of for interest rates, which reduces model complexity while increasing model flexibility. The technical parts of this talk will be described conceptually in an intuitive way, and anyone with an interest in mathematics and its applications is welcome to attend! Keynes and the Crisis of the Welfare State — May 17 at 4:30 p.m.
John Maynard Keynes is the father of modern macroeconomics, and Keynesian economics and the welfare state have been inextricably linked in the public mind since the postwar era. Indeed, he is widely believed to have provided the analytical, economic underpinnings for the welfare state. Bradley Bateman, a recognized scholar of Keynsian thought, examines Keynes’s contributions with the backdrop of the recent financial calamities and the widespread fiscal crises of state and national governments. Please join us for Professor Bateman’s talk, which is part of the Lawrence Senior Experience in the Department of Economics. Bradley W. Bateman is the Provost and a Professor of Economics at Denison University. 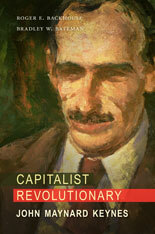 He is the author of Keynes’s Uncertain Revolution and co-author of Capitalist Revolutionary: John Maynard Keynes. More at the Lawrence homepage. The Economics Department Open House is Thursday at 4:30 on Briggs 2nd, probably clustering near 217. The Open House is a chance for economics majors to get together, and also for students potentially interested in the major to meet the professors (! ), talk about the curriculum, chart a future course, learn more about the upcoming LSB trip, take an important step towards self-actualization, and meet some fellow economics students. My understanding is that there will be some short talks by some of our Senior Experiencers. Oh, and delicious refreshments. Professor Richard Brualdi from University of Wisconsin is on campus this coming Tuesday, April 17, to give the inaugural McDougal Lecture in Mathematics. The talk is at 4:30 in Steitz Hall 102. Professor Brualdi’s talk is “A Combinatorial Book of Colors,” and I’ve been assured that this is accessible to a more general audience. (Of course, I was assured by a mathematician). Here’s more on Professor Brualdi. Professor Kevin F. McDougal earned a Bachelor of Arts degree in mathematics from Lawrence University in 1979. He wrote his Ph.D. dissertation, Some Combinatorial Properties of (0, 1) Matrices, under the direction of Prof. Richard Brualdi and received his Ph.D. from the University of Wisconsin, Madison in 1989. 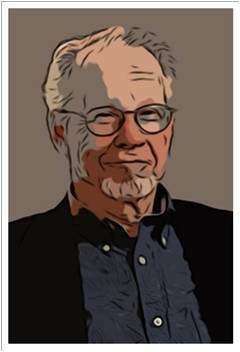 Kevin was a Professor of Mathematics at the University of Wisconsin, Oshkosh and had nine publications in combinatorics and a nearly completed book in combinatorics when he unexpectedly died in 2004 from a rare heart condition while training in Green Bay. The McDougal family sponsors this lecture series to celebrate Kevin’s intellectual curiosity and passion for mathematics. The LSB program sponsors an educational trip to Chicago every year. The purpose of the trip is to provide students an “immersion experience” in one of the country’s financial and entrepreneurial hubs. The trip will take place during reading period, on May 3rd and 4th. We will leave at 6:00 a.m. on Thursday, May 3, and return in the evening on Friday. We will have a full schedule, visiting the following organizations: Chicago Mercantile Exchange, Madison Dearborn Partners, The Northern Trust Company, Deloitte, LBC Credit Partners, Industrial Council of Nearwest Chicago, Ennis Knupp + Associates, and the Chicagoland Entrepreneurial Center. The costs of the trip are covered by the LSB program. The trip is open to all students. This trip is a great opportunity to learn about the business world up-close, in a way that you couldn’t do on your own. If you would like to join, register through LUworks. Deadline to register and pay $20 refundable deposit is April 25. George Georgiou from the University of California at Santa Cruz will be on campus Friday to give a talk, “An Introduction to Law & Economics.” Mr. Georgiou is completing his Ph.D. in international economics, with a specialization in applied micro and law & economics. 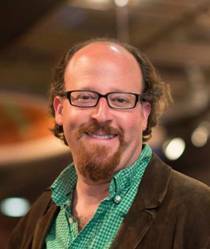 His work focuses on whether post-incarceration supervision levels affect recidivism. Mr. Georgiou will give the talk in Briggs 223 at 1:50. The usual delicious Econ Tea accouterments should be available.